How do you leverage today’s strengths for tomorrow? Tan Sri Dr. Ir. 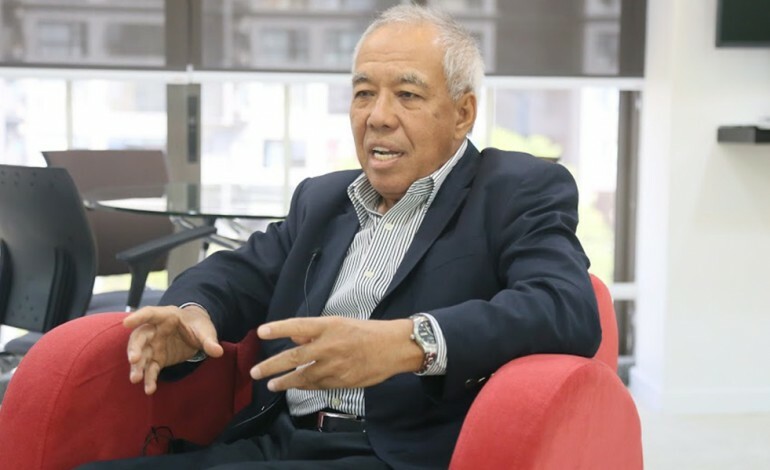 Ahmad Tajuddin Ali shares his views on the present state of Malaysia’s high-technology industry. He provides insights into the evolution of Malaysia’s high technology ecosystem and what were and are our strengths that we can leverage for long term successes. The Joint-Chairman (Industry) of Malaysian Industry-Government Group for High Technology (MIGHT) is a prominent champion in Malaysia’s high-tech industry development. A nuclear engineer by training, Tan Sri Dr. Ir. Ahmad Tajuddin is a progressive with profound experience in management and leadership roles. His deep passion for science and technology gives him a great sense of purpose and through his nation building contribution, he meets Malaysia’s high-tech industry players at the intersection of strategy and operational excellence. industrialisation program to expedite our growth, realising we can-ill afford to rely only on agriculture. We also moved into adjacent markets—from extraction of tins to developing our rubber products which resulted in industrialising our agricultural activities. We started industrialising our rubber and palm oil, planting on larger industrial scales, and invested in research and development (R&D) technology which resulted in major productivity gains. The improvement is not only limited to the yield and quality of crops, but also added downstream values to the utilization of the produce and products. These successes were highly credited to the formation of government driven research institutes such as Rubber Research Institute of Malaysia (RRIM) and Palm Oil Research Institute of Malaysia (PORIM). This is the type of capacity and capabilities that are required for the development of technologies that enabled our rapid industrialization agenda. Nowadays, we are no longer the number one producer of latex, but we are the number one producer of rubber gloves and condoms. We have strategically shifted the industry downstream in terms of new applications of raw commodities and this has reaped rewards not just for the farmers but the Malaysian economy. Similarly, in the palm oil industry, collaborative R&D efforts by both government-linked research institutes and industry partners have helped mobilize various initiatives that yielded great results in fuelling our upstream and downstream innovations. Through R&D, we have managed to produce better products. Malaysia’s foray into manufacturing started with the setting up of factories with simple assembly lines that required low skilled workforce and little technology transfer and development. 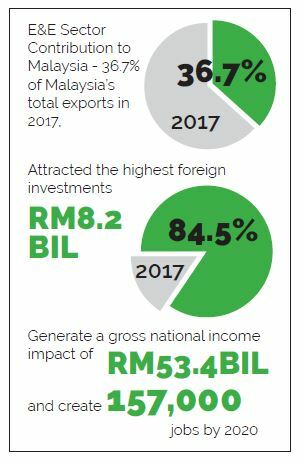 Large multinational companies (MNCs) came to Malaysia for the competitive advantages we had then and the schemes that were introduced by the government, offering them pioneer status tax exemption and free trade zones facilities. This further diversified our economy as we transformed into a manufacturing hub by going into the electrical and electronics (E&E) sector which has become a leading contributor to our GDP. What is next for manufacturing? What has not happened is our attempt to move up the value chain in manufacturing and localizing our upstream R&D and capabilities. I’m not saying it didn’t happen at all, but the trajectory has somewhat tapered off and presently there are apparent gaps. However, we did well enough to produce technopreneurs, taking advantage of the presence of MNCs in E&E. Now, some of these technopreneurs have even moved on to serve larger market places beyond where they first started, making components for large corporations like Motorola and Intel. There are such companies especially ones that have roots in Penang that have ventured out from there and become well known globally. While the economy shifted from agriculture to industrial sectors in manufacturing, what we would like to see is a boost in the services sector. And I am not talking about services like F&B and tourism, but design and engineering services to support our high-tech industries. Let’s take the medical industry for example. We may not be as strong as other big pharmaceutical companies due to ownership of intellectual property (IP) and the capacity to take on rigorous clinical trials and tests, but there are many pockets of growth that we can tap into and compete. Today, our local manufacturing companies are already producing medical kits and devices for the world market. In business, if you get complacent, you will find your market advantage eroded. Unless companies invest into R&D and foster innovations that can improve their productivity and create new products, their advantages will be imperilled. There are many ways of how this can happen. In a downturn scenario, for instance, when Crude Palm Oil (CPO) prices tumble, your production costs would go up, and sometimes, it is not worth planting at all, because what you are able to sell cannot cover the production costs. Regardless of the economic scenario, higher productivity and profitability can determine the survival of our local businesses. Lets’ take palm oil as an example. Our competitor lives next door. Location wise, Indonesia is almost identical to us—a tropical country much like ours. To me they have a bigger natural advantage over Malaysia. Maybe at this point in time, we are still ahead of them—although we are now no longer the number one producer, you can say it is still our industry because it is our plantation companies that are producing palm oil in Indonesia. Our position is anchored around the strength that we had developed previously through PORIM, through research initiatives, through years of yielding clones, techniques of extraction to make them more competitive. However, that competitive position will not last unless we keep on investing and innovating through R&D. When we talk about our capabilities and the ingredients to create new, profitable opportunities for our startups, there are many niche areas we can exploit. The hurdle is only us and our mind-set. If you take traditional industries, ship building, iron and steel, they require high capital investments particularly for physical facilities. However, to break into today’s new tech business landscape, the entry access is quite low. In some areas, it only takes a capable person, a computer and the ecosystem to get started. There are many large companies today that have evolved by leaps and bounds that started out small. They do so by underlining downstream values to grow. Moreover, by anticipating potential shifts in profit pools along the value chain, we can manage the additional complexity of new markets. We do have our strengths but unfortunately, we are a small nation, hence limited in terms of our local market. Due to the open global market and external trade flows, global products enter our market and we have to compete with these global brands. Hence, if we only look to the local market, it is very small and insufficient. Therefore, we need to cater to the needs of the larger world demographics. We must produce products that are not just well liked by consumers but are globally competitive. Top Glove is a good example. 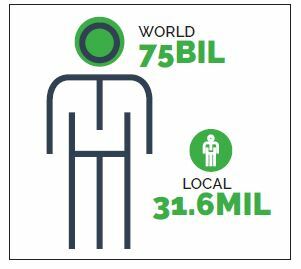 Leveraging on our local resources in rubber production, we have people with profound knowledge in rubber technology to tap into the global market and supply chain. Nevertheless, our capabilities in high-tech industries are growing. To replicate successes in other sectors, we need to look at the enabling technologies to capture larger market places. Currently, we are making meaningful efforts through our foresight exercises via public-private partnerships. By pulling our network levers and exploring mutually beneficial linkages between industry players, I believe we can mobilize the entire nation’s capacity whether it is in any industry or university. I have often mentioned that to continue on our current trajectory and adopt a business as-usual approach, the future of Malaysia will indeed be bleak. In a volatile, uncertain, complex and ambiguous future, we need to prepare and react to the disruption coming. The Fourth Industrial Revolution (4IR) represents this future and provides many challenges in adapting and adopting to the advances of technology. Space technologies, robots, virtual reality (VR) and augmented reality (AR) and others are tools as well as means to an end. The key lies in our ability to deploy all these new technologies into the industries and markets we are embedded in. It can be traditionally low-end industries, but if we use the latest solutions and technologies that require less people—weeding out the average values for the exceptional ones—this is what tomorrow is all about. Hence, to disprove the notion that the future is bleak, we need to undertake transformational changes today. There are foreign companies that are in Malaysia that consider themselves part of the industrial capacity and they too can contribute to our economy. For example, in the aerospace sector, we have Aerospace Malaysia Innovation Centre (AMIC); an organization based on membership made up of key industry players in the aerospace industry. Two major global corporations, Airbus and Rolls Royce, are among the Lead Members of AMIC. Through this platform, AMIC links the industry beyond Malaysia through various programs to create a better value proposition and capitalise on our collective strengths. Alongside the engagement activities, AMIC can further develop their product lines by utilizing the resources available here to meet global needs and challenges. I think our universities and research institutes’ capabilities to articulate and solve our high-tech industry challenges cannot be ignored. It has always been the intention of the government to make local research relevant to the industry. For this, platforms need to be established in instituting ‘demand driven research’ projects and provide contract research programs. Through this, any given university or research institute can take up work that the industry demands. Again we take AMIC as an example. It is an innovative model that substantially improved the commercial success of Malaysia’s aerospace research and development projects that’s undertaken in Malaysia. AMIC initiates a project with a budget and a timeline and the researchers need to collaborate with industry partners. You do the research, deliver and move on to the next step. This is a win-win situation for both our universities and high-tech industries. The talent pool of the future needs more than just scientists and engineers. There will be other talent requirement for other sectors, and some that are yet to exist. We can’t say for certain how the three mega-trends of rapidly aging world populations, accelerating automation and rising inequality will disrupt our labour markets over the coming decades. Nonetheless, to shape future talent and allow Malaysia to maintain its competitive edge, it is about preparing the youngsters of today to be the workforce of the future. When our children graduate from university, say, 20 years from now, we need to equip them with the right values, as they need to be nurtured and streamlined to have the capabilities in certain areas. We need to build our future talent pool based on their own inclination and quirks—to me that is the biggest challenge, building now for the future. For the nation to be where we want to be in 2050 and beyond, we must act now. We need to act now to realise the lofty ideals of becoming a progressive, harmonious, prosperous, and sustainable society that we dream of. This involves building our industrial and economic competitiveness globally, so we can earn more to run the country prosperously. This will require great resources, to ensure nobody is left out and everyone is given equitable access to opportunities. For example, we need to help our agribusiness to produce the crops we need more productively. The engineers and scientists—using their research and technical abilities, need to turn raw materials into products and services that serve global market places to generate wealth. As our resources are limited, we need to focus our investments in areas that are strategic for the nation sovereignty as well as provide us the opportunity to compete globally. However, the government can’t do it alone, the private sector needs to step up and drive it, because it involves their bottom line and survival. As YAB Prime Minister, Tun Dr. Mahathir recently remarked, the government’s role is to help nurture and create a conducive business environment for the private sector. When they are profitable, 26% of their profit goes back to the nation. Hence, it is in the best interests of the nation that we provide the support for the private sector to flourish. We want to strengthen MIGHT’s relevance to the industry and its ability to help both the government and the industry. We would like to form stronger partnerships with the private sector, put them in a favourable position to capture future opportunities in order to contend for global leadership. The government wants the nation to move forward and our industry players need business friendly government instruments to grow. Therefore, MIGHT is the best place where we bring multiple stakeholders together to define, develop and shape this national agenda.